The Terry P Hill Martial Arts Association is one of the most diverse Martial Arts Schools in the country, covering both Traditional Martial Arts and Modern Fighting Sports. It is also heavily into the study and research of the history and traditions of Ancient Martial Ways, along with the scientific development of modern Fighting Sports. For the serious student of Martial Arts and those who wish to compete in the various Fighting Sports, this organisation may well hold the key to unlimited success in your journey into the Martial Ways. 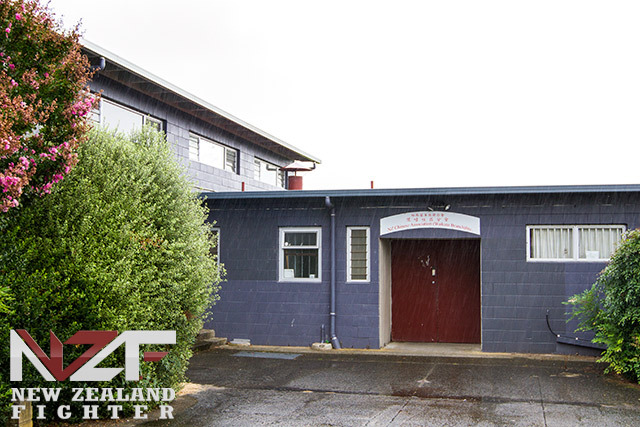 Terry P Hill Martial Arts Association was formed in 1981 by Terry Hill at the Hamilton Teachers College Gymnasium on the University of Waikato Campus. Starting out as a Karate Dojo teaching the Okinawa Goju Ryu form of Karate, it expanded in 1982 to include Kickboxing classes. In 1991 the Association moved to the University of Waikato's Sport and Recreation centre and included Self Defence classes in its curriculum. This formed a three-tiered training program. It then expanded yet again to include Wu Shu (Chinese Martial Arts) - Sanda (Free Fight) training for the members in1998.